One of my goals at Nestlé is to source more renewable energy. We just took a big step forward. Last year, Nestlé joined state and local governments, universities, and other companies to say that #WeAreStillIn to fight climate change and support the Paris Agreement. We pledged to continue to take real steps to reduce our greenhouse gas emissions and accelerate our transition to a clean energy economy, reaffirming our commitment to caring for the planet for future generations. Though global efforts on climate change are often shaped in places like Paris, Bonn, and Toronto, much of the important work in this space is happening in places like Benton County, Indiana, and Allentown, Pennsylvania — two places Nestlé knows quite well and will know even better in the years ahead. This month, we signed a power purchase agreement with EDP Renewables to supply clean electricity for five of our facilities in southeastern Pennsylvania over the next 15 years. This contract will allow our partner to expand the capacity of its Meadow Lake IV Wind Farm in Benton County, Indiana, which will provide approximately 80% of the electricity needs for the five facilities. This agreement is the most recent example of Nestlé’s global efforts to reduce greenhouse gas emissions, and it shows once again that a company like ours can create shared value through wise stewardship of natural resources. The manufacturing facilities in Pennsylvania produce Deer Park Brand 100% Natural Spring Water and pet foods such as Friskies and Purina Pro Plan that are found in millions of homes. The Allentown distribution center is a critical link in our supply chain, sending millions of cases of products to local grocery stores, from Coffee-mate creamer to Libby’s Pumpkin to Gerber baby food. How can the wind turbines in Indiana supply power to our Pennsylvania manufacturing facilities and distribution centers? The power created at Meadow Lake Wind Farm is on the same grid as our operations, meaning the energy generated by windmills can travel directly to our production facilities. That being the case, we know the renewable energy that we have invested in will help produce the food and beverages that families — and pets — across America enjoy. 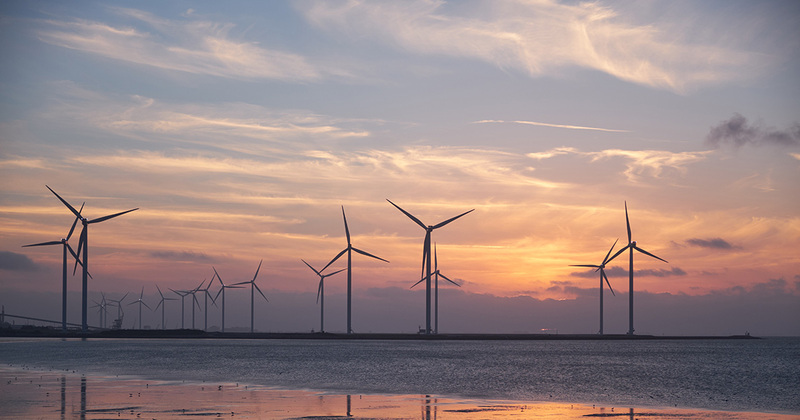 The agreement to use wind energy to power our facilities allows us take a significant step toward accomplishing two of our top sustainability goals. First, we’re now closer than ever to cutting our greenhouse gas emissions by 35% relative to 2010 levels. This energy purchase is also a substantial step toward sourcing 100% of our electricity from renewable sources. With the addition of the energy from Meadow Lake Wind Farm, 20% of the electricity Nestlé uses in the U.S. will be from renewable sources in 2019. The investment Nestlé is making will pay dividends for Benton County — and the environment — for years to come. Because we’re making a 15-year commitment, Meadow Lake Wind Farm can count on the commitment from Nestlé and securely expand its operations. Within the next two months, the wind farm can begin its 50 megawatt expansion. The expanded facility should be fully up and running by early 2019, serving as a huge benefit to surrounding businesses and individuals. This is a textbook example of how large businesses like ours can move the needle on greenhouse gas emissions. We also see partnerships like this as proof that improving your business and improving your community aren’t mutually exclusive. The investment will help the local community, improve environmental impact, and allow Nestlé to benefit from access to lower electricity costs. This is a deal that is good for Nestlé, good for Meadow Lake Wind Farm and good for the environment. Going landfill-free: 47 of our 77 factories in the U.S. now send zero waste to landfills, and we’re committed to going landfill-free throughout our supply chain to reduce methane-producing gasses, reduce our carbon footprint, and extend the product lifecycle. Investing in sustainable packaging: We’ve redesigned our packaging to be as sustainable as possible. Globally, in 2016, these efforts helped save 22,525 tons of packaging. That’s the equivalent of 420,000+ tons or carbon dioxide or taking 93,000 cars off the road for an entire year. Create opportunities for easy recycling: We’re making it easier for consumers to recycle our products. Nespresso gives coffee-lovers pre-paid UPS recycling bags so used aluminum pods can be recycled. Last year, Nestlé Waters North America teamed up with Keep America Beautiful to help four Florida communities recycle nearly 320,000 bottles and cans in just six months. The EPA estimates that every ton of waste that is recycled instead of thrown away prevents 2.87 metric tons of carbon dioxide emissions, so these efforts have a real effect on our planet. For Nestlé, these actions aren’t just part of a random sustainability plan. They’re integral components of a broader strategy of Creating Shared Value. We believe that by making the right decisions on things like how we buy energy and design packaging, we can contribute to a healthier future for individuals, families, communities, and even the planet, in a way that creates value for our business. Just as there are business benefits to joining with Meadow Lake to increase clean energy production and consumption, there are business reasons for us to focus on mitigating the effects of climate change. A changing climate dramatically affects our supply chain and our ability to consistently access crops, waters, and even infrastructure. That directly impacts our ability to produce and bring our products to the world, along with creating food security risk for billions of people. Our work to reduce greenhouse gas emissions is about innovatively using our resources and our reach to do good things for our consumers and the communities in which we operate. This is our commitment, and this is why #WeAreStillIn. Nestlé is a Premier Sponsor for SB’18 Vancouver. They are participating in the ‘Good Food’ pavilion. Stop by Booth 108 to meet their team and grab free Häagen-Dazs samples!